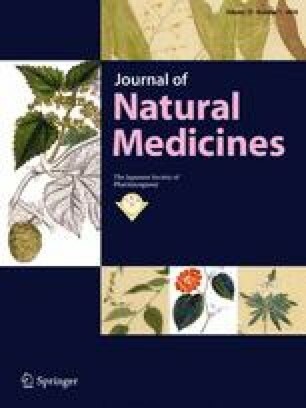 In vitro screening methods using cultured Neuro2a cells to examine the activation (phosphorylation) of extracellular signal-regulated kinase (ERK) 1/2 and promotion of neurite outgrowth revealed that the extracts of 5 Kampo (Japanese traditional) formulations have potential as medicines for the treatment of behavioral abnormalities. Since sansoninto (SAT) extract exerted stronger effects than the other candidates tested, we investigated whether its oral administration ameliorates the pathologies of some mouse models of behavioral impairments. The results obtained suggested that SAT extract exerted anti-depression-like effects in the forced swim test, which may be mediated by the up-regulated expression of brain-derived neurotrophic factor (BDNF) in the hippocampus. They may also be mediated by the enhanced phosphorylation of the cAMP response element-binding protein (CREB) via the mitogen-activated protein kinase (MAPK) cascade and Ca2+/calmodulin-dependent protein kinase II (CaMK II) cascade, a downstream signaling cascade of the N-methyl-d-aspartate (NMDA) receptor. These results indicate that the extract of SAT has potential as a new remedial medicine in the treatment of depression-like behavior. The online version of this article (doi: 10.1007/s11418-017-1119-0) contains supplementary material, which is available to authorized users. This work was financially supported by Takeda Science Foundation.